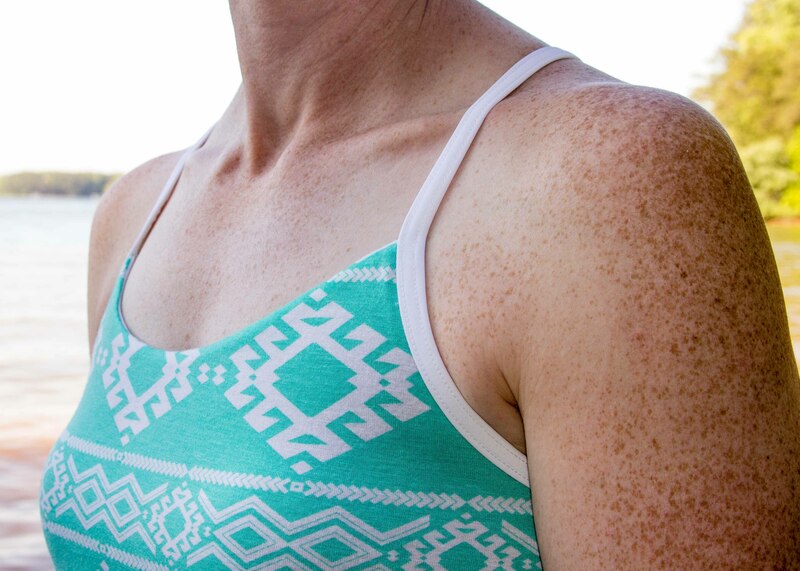 This is when the Lakeshore Tank becomes an essential wardrobe item. 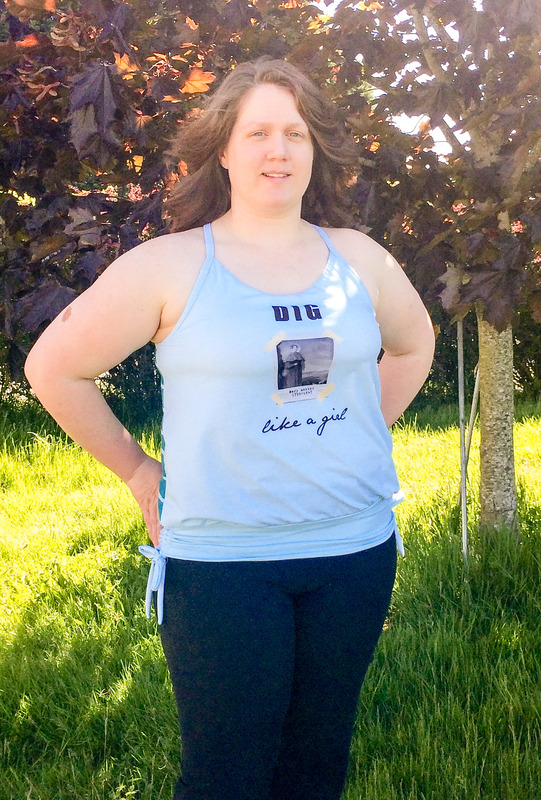 How do you like to wear your tank tops? Do you like to sew in bra cups? 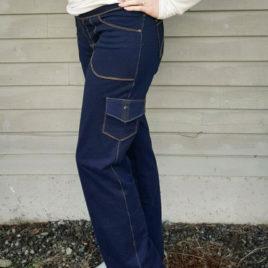 Use removable modesty pads? 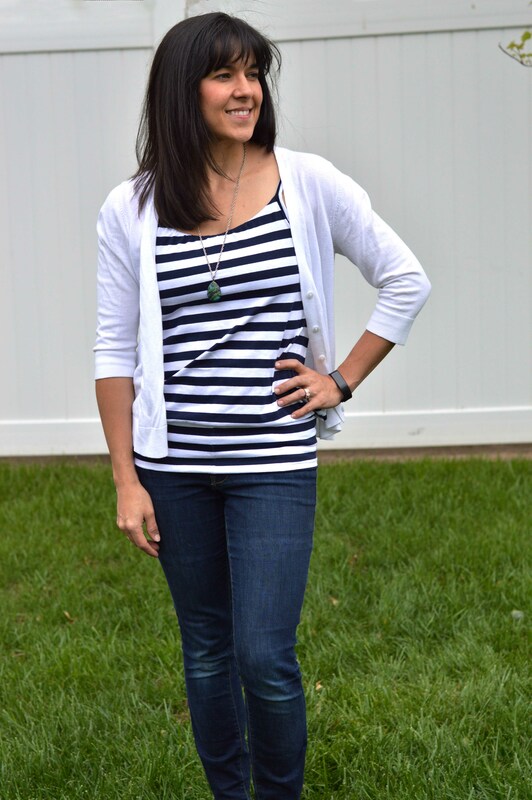 Do you typically wear a tank under your jacket or cardigan? 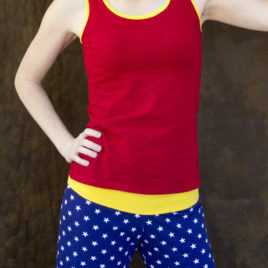 This can be the classy shell under a suit jacket or the perfect tank at the beach. How will you wear your Lakeshore Tank? Regular, nursing, and maternity options. 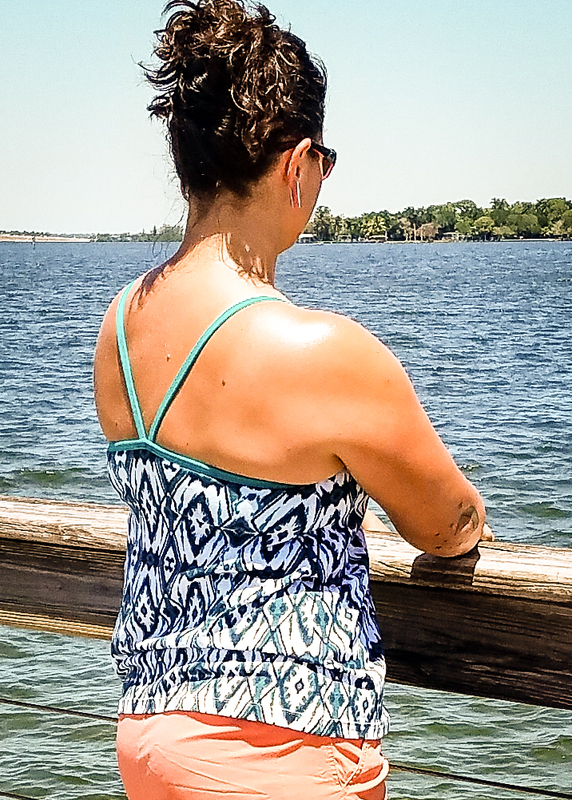 Whether you’re working at the office or chasing kids this summer, I can guarantee that you’ll find plenty of ways to sew up the Lakeshore Tank pattern. It looks fantastic with the Adventure Skort too! Fabric requirements and notions are listed in one of the images. 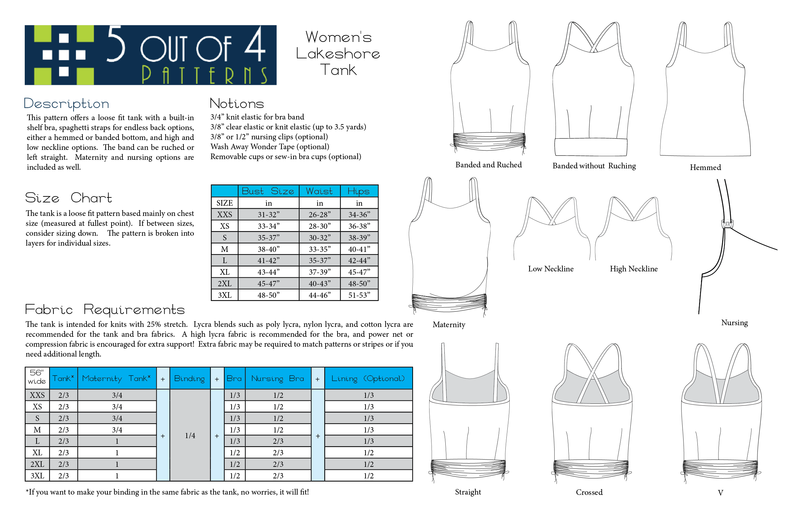 The tank requires a knit blend fabric with at least 25% stretch and the shelf bra requires a knit lycra blend with 4-way 50% stretch. 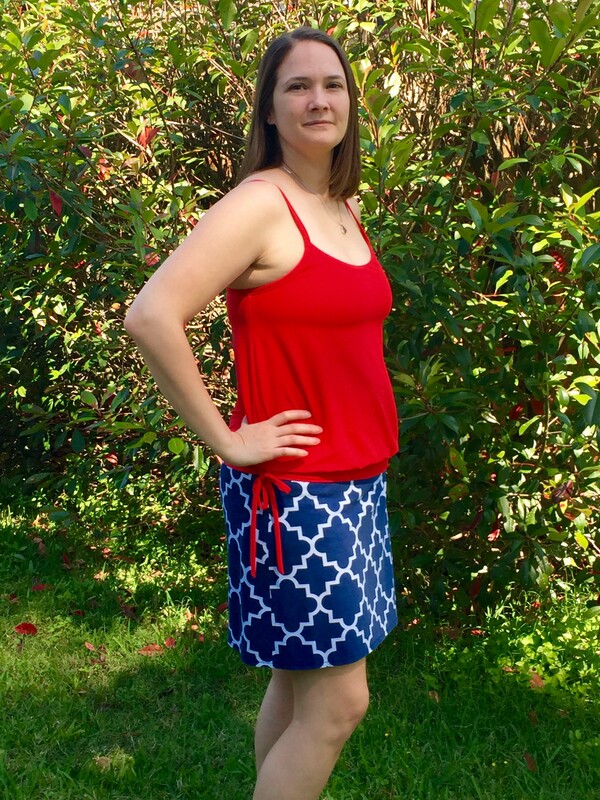 Extra fabric may be required to match patterns or stripes or if you need additional length. I highly recommend trying some athletic knit blends such as supplex or a poly/lycra athletic wickaway knit. 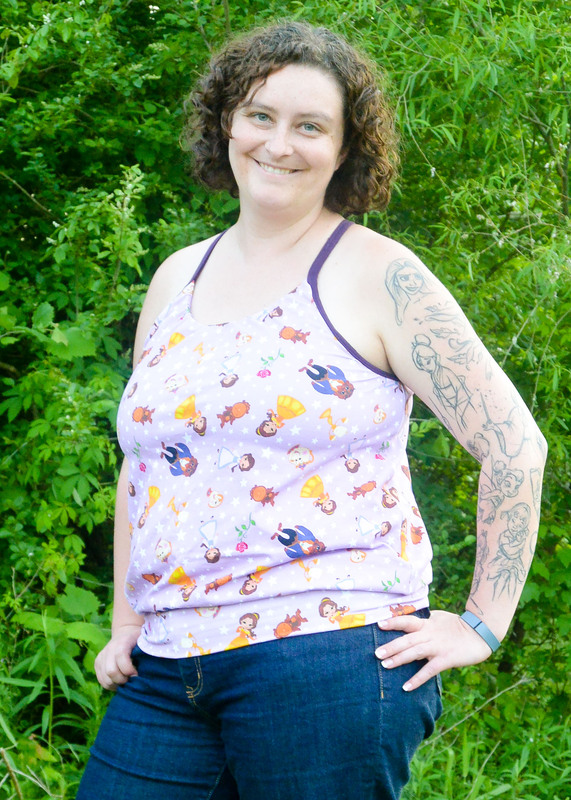 If you’re interested in making a shelf bra that will actually provide some support, please take a moment to read this blog post, where I cover options for a supportive layer of fabric. I really can’t stress this enough. 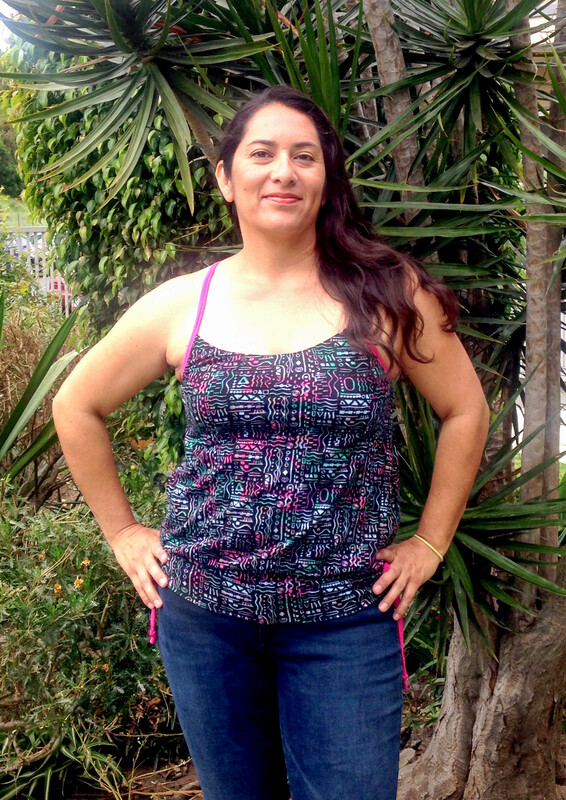 Fabric choice makes a HUGE difference in the amount of support a sports bra can achieve. 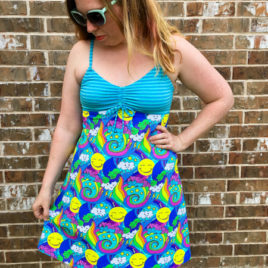 This PDF sewing pattern comes in sizes XXS – 3XL. Included in your purchase is a professional tutorial that includes pictures and drawings to help you sew up your new favorite tank top. The files also include professionally drawn pattern pieces formatted for 8.5×11, A4, and A0 printers. PLEASE only use the A4 formatted pattern pieces if you live in a country where the standard paper size is A4! This is an amazing pattern! 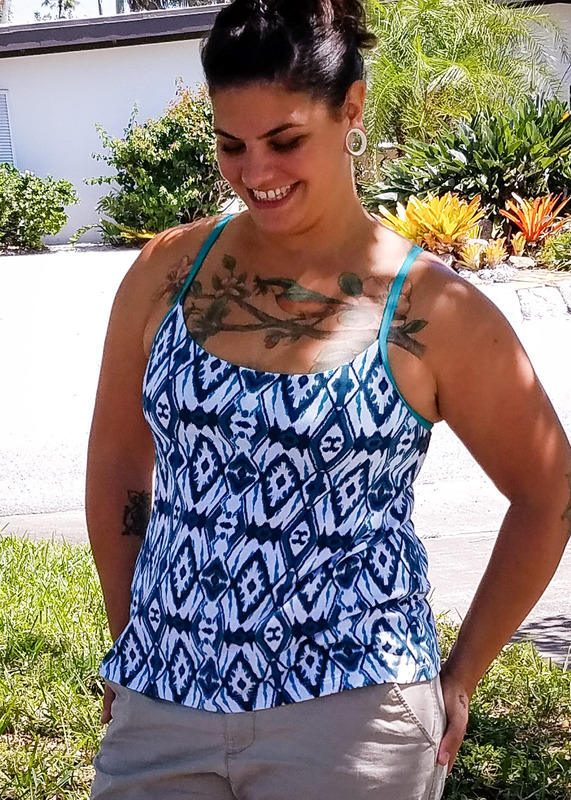 And in true 5oo4 fashion, there are tons of options to customize this tank to meet your specific needs with detailed instructions that give you that RTW look/feel. 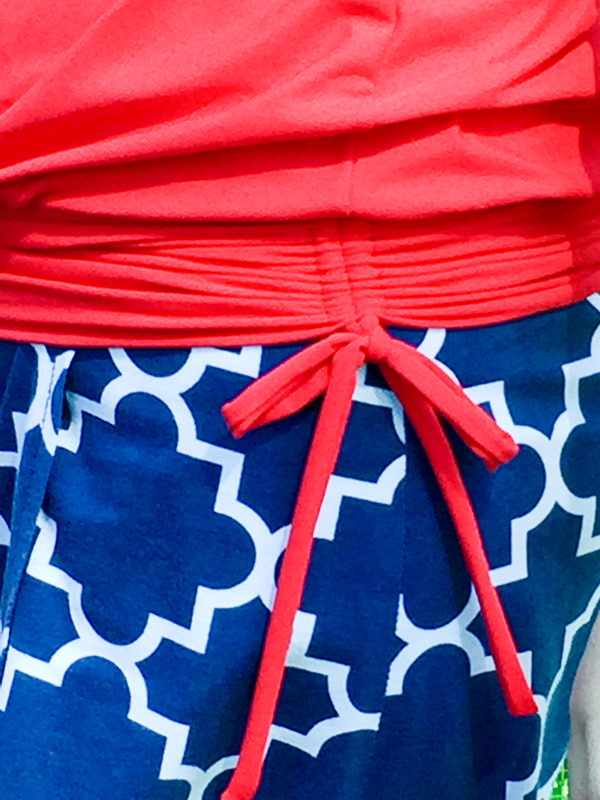 It’s versatile: everyday casual or dress it up – even make it a swim top! The built in bra actually provides superb support – no need to wear a separate bra. I have already made two and have several more planned already! Absolutely love this pattern! So many different options. I was nervous about doing the ruched band but the instructions were clear which made it easy! Love this all summer with a wicking fabric shelf bra. Makes the perfect layering piece when the weather cools! The Camilla Top and Dress is the perfect addition to your capsule wardrobe! You can dress it up or down with accessories. 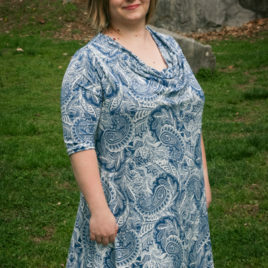 The neckline is flattering on all shapes and sizes and the options help you determine what suits your personality best. 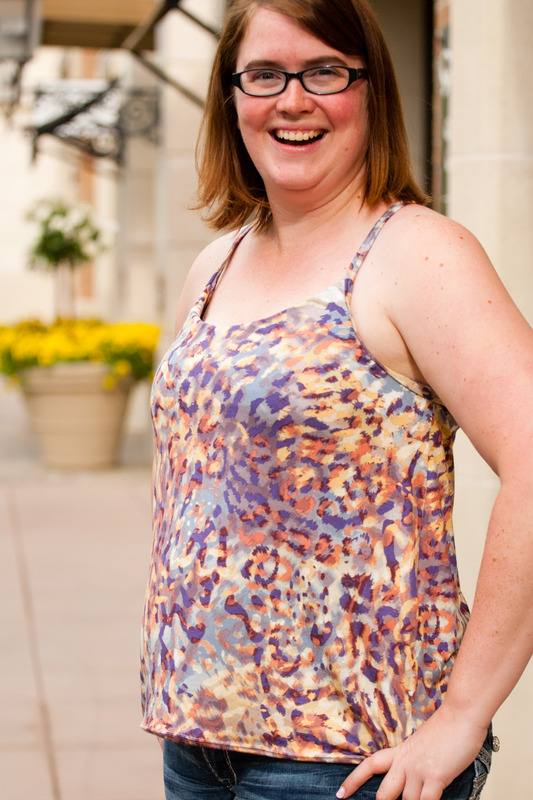 Even though the neckline looks sophisticated, this is a surprisingly easy sew! I've tried to make it even easier by including links to tutorial videos. Read below for more information on the options included in the Camilla Top and Dress.